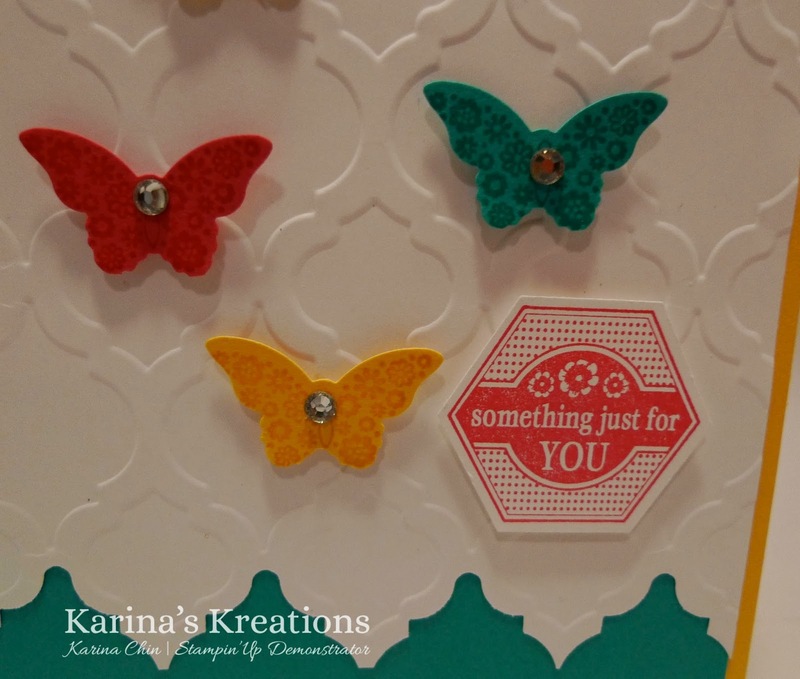 Karina's Kreations: Stampin'Up Papillon Potpourri Card! I made this cute card for my downline to invite them to the next coffee talk night on Oct 4th. I had so much fun making it that I filmed a little video for you. Unfortunately, it was too sunny for the first part of the video but keep watching because the clouds came out and it was much better towards the end. 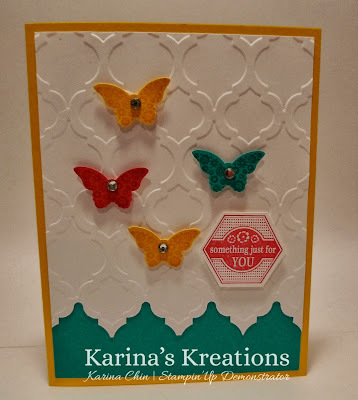 My card stock colors are Daffodil Delight, Bermuda Bay and Melon Mambo. 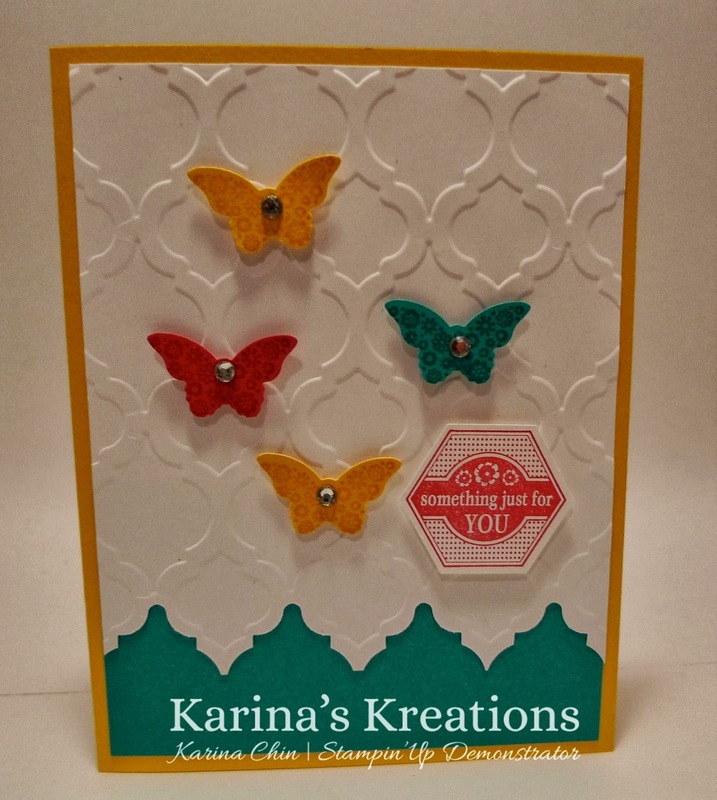 There is a Butterfly Bundle Special on right now. 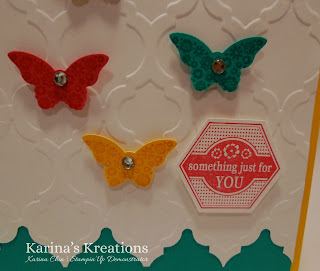 Buy the Papillon Potpourri stamp set and matching Bitty Butterfly punch and save 15%. It's available in clear mount and wood mount. If you place an online order or email me (kchin2@telus.net) an order I have a rewards program that you can take part in.